After an embarrassing showing at the SCG Invitational in Los Angeles, I decided to attack the Magic scene harder than I ever have before. This page will serve as a place to chronicle my possible successes and probable blunders. 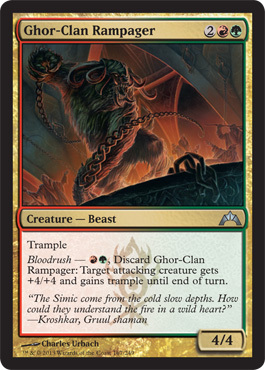 The full Gatecrash set hit the spoiler scene this morning, and you can find it here. But for those of you who just can't wait to start building decks, you probably want to get it on Magic Workstation ASAP. Good news! There's an updated MWS patch as well... just click here. 1/21/13 3:00 P.M. CAUTION: THIS FILE MESSED UP MWS FOR ME... I'M CURRENTLY WORKING ON FIXING THE ISSUE... WILL UPDATE SOON. 1/21/13 4:45 P.M. Link updated. This one works, although I had to reinstall MWS and download a new mwBase file in the midst of all that mess. It was just another one of those days. My brother and I were reminiscing about the good old days when we had game night every week and played D&D or Rifts or 40K or Magic regularly. Yeah, those were the good old days. And then his fiance started pushing to start game night again. Of course, we agreed, but I didn't actually see it happening. I've gotten pretty cynical about the idea that the old gaming group can ever manage to find free time at the same time. But it happened this week. We had game night. Despite struggles, like me feeling unable to commit time to DMing and my brother thinking he would be able to but not finding the time, we still played on... with Rachel as DM. Now, a lot of things weren't ideal about the situation. For one, Rachel only took it on at the last minute when nobody else stepped up to the plate. Second, she has played but has never been the DM before. Third, not only was she inexperienced, but we had agreed ahead of time to use 3.5 rules, which aren't the easiest to just pick up and run with. Even worse, we had also agreed on starting at 6th level... so things were even more complicated than they would have been if we had created 1st level characters. Things could have taken a major turn for the worse, but they didn't. Even though she was a little green, Rachel handled the role of DM pretty well, especially for a first timer. We stumbled around two towns trying to figure out who committed an atrocity (lots of dead bodies) in the first one, and as much as it sounds like there's a weird vampire out there in need of killing, I've got a feeling she might have a plot twist for us. but that's Hero Machine for ya. 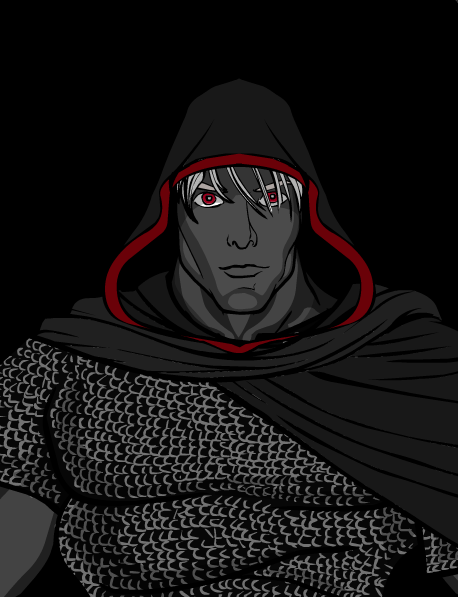 Init +3; Senses Spot +5 (3 ranks), Listen +2(0 ranks); darkvision 60 ft.
My intention was to run this in my brother's campaign, and since he can have kind of a twisted take on things sometimes, I figured playing a drow to the hilt wouldn't be too big of a deal. Rachel doesn't have the same twist, and with Eric in the party now rather than running the game, my character ended up being the voice of reason in the group thus far. 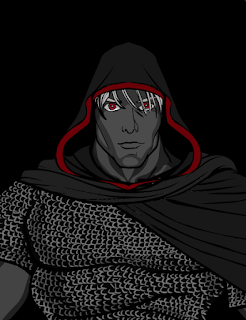 We'll see if that changes... Kalannar is sure to get power hungry sooner or later, as most drow tend to do. While not all of these games were actually released in 2012, these are the best free RPGs that graced my Android tablet over the course of the year. These apps saved me from many a moment of boredom, and didn't cost me a dime! I played Parallel Kingdoms for a while, and the GPS based RPG idea intrigued me. However, PK just never did it for me visually. Sacracy is a similar take on the GPS based world, but is much visually appealing. While it is based on a lot of cheesy stereotypes and can be quite glitchy at times, Bad Nerd is a hoot to play. Basically, you play as the nerdy kid who has suffered at the hands of school bullies, and it is time for revenge. I played Inotia 3 a while back and wasn't all that impressed, so I didn't even bother downloading Inotia 4 when I stumbled across it in the Google Play Store. However, I'm glad I did. It isn't that much different than Inotia 3, but there are enough improvements to warrant giving the new version a shot. Reminiscent of the Diablo series in many ways, Soulcraft is probably the most visually appealing on this list. The most frustrating thing about this game is the controls, which didn't respond the way I expected - often not sensitive enough. If the controls were better, this could easily have been #1 on this list. The best of the bunch is another title reminiscent of the Diablo series. Heroes Call has pretty awesome graphics for a mobile game, addicting gameplay, and a user-friendly interface. Of the games on the list, this is the only one I am still playing. Please note that not all of these games were released in 2012. These are games that I played in 2012.